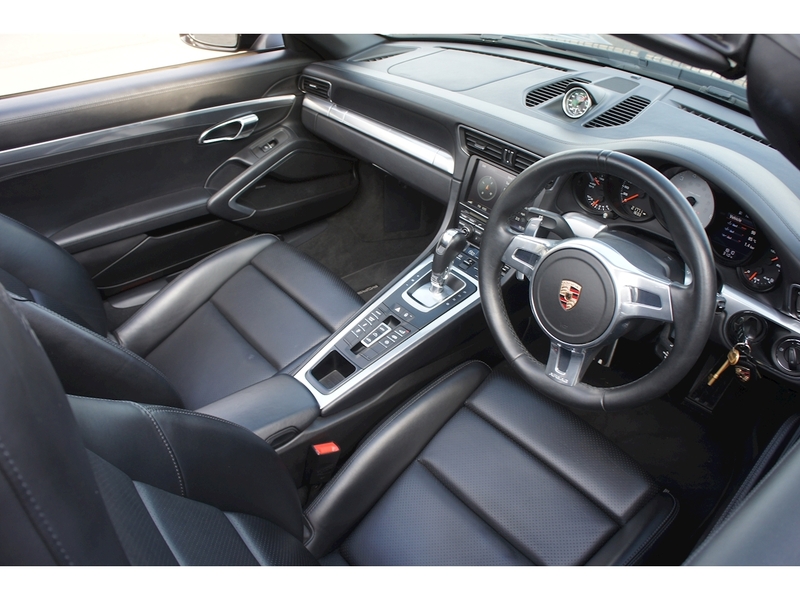 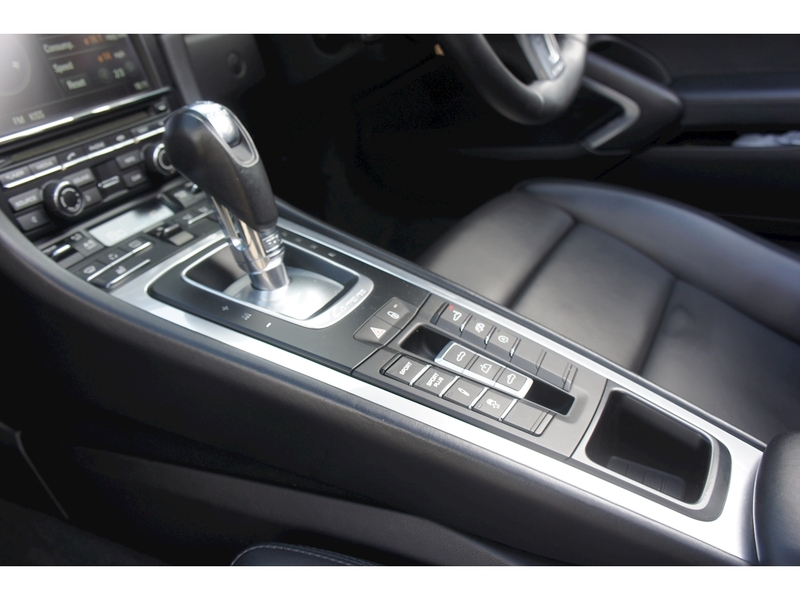 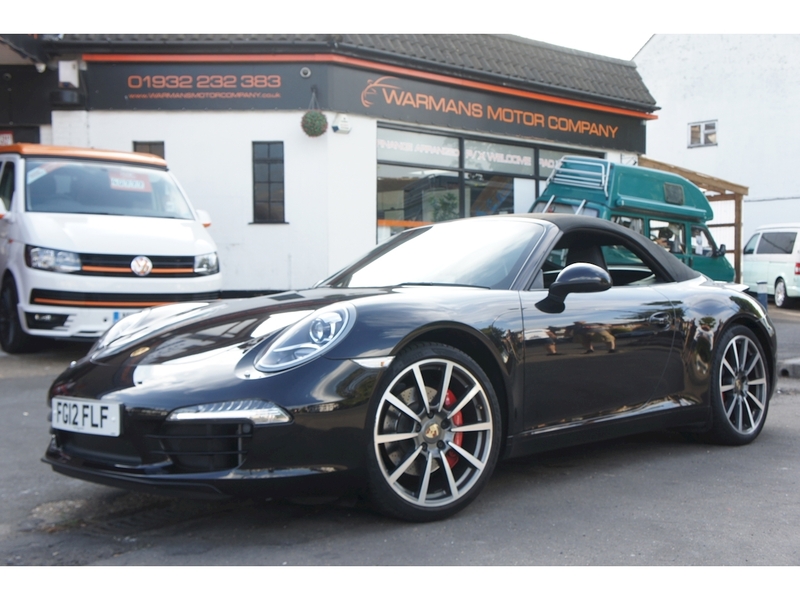 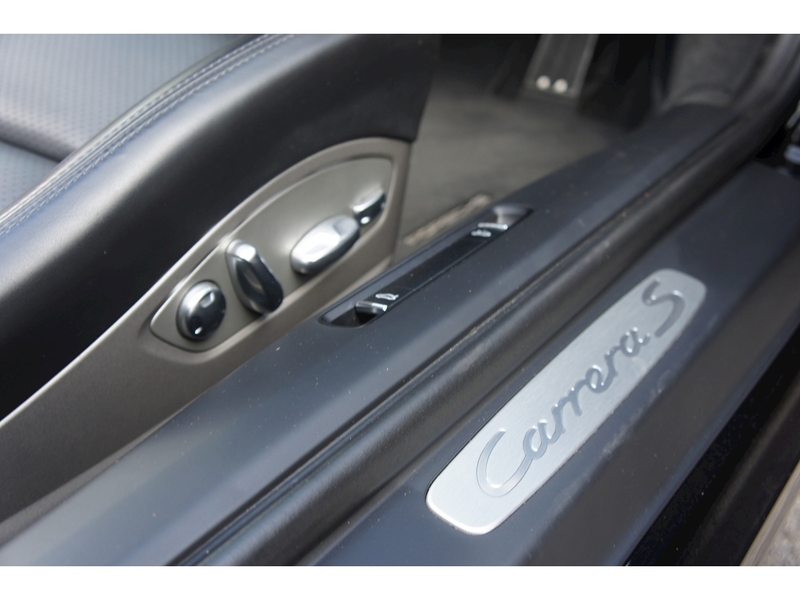 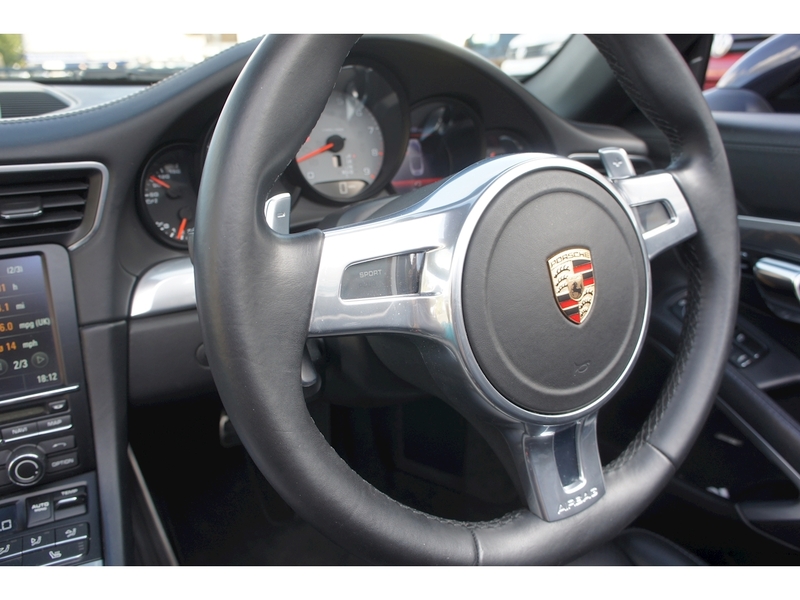 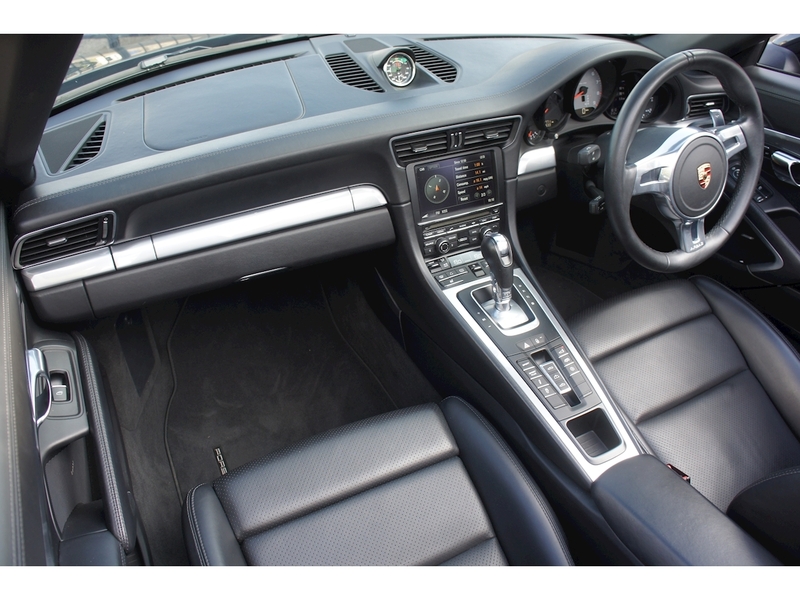 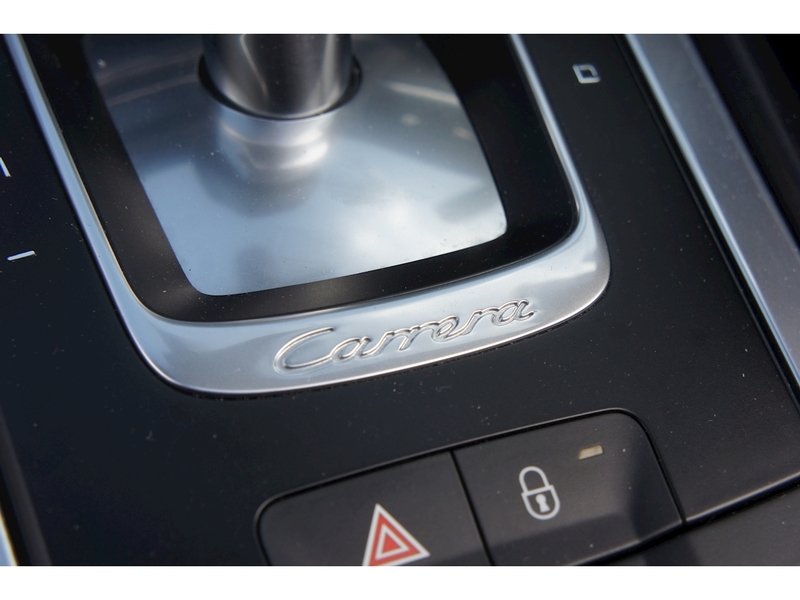 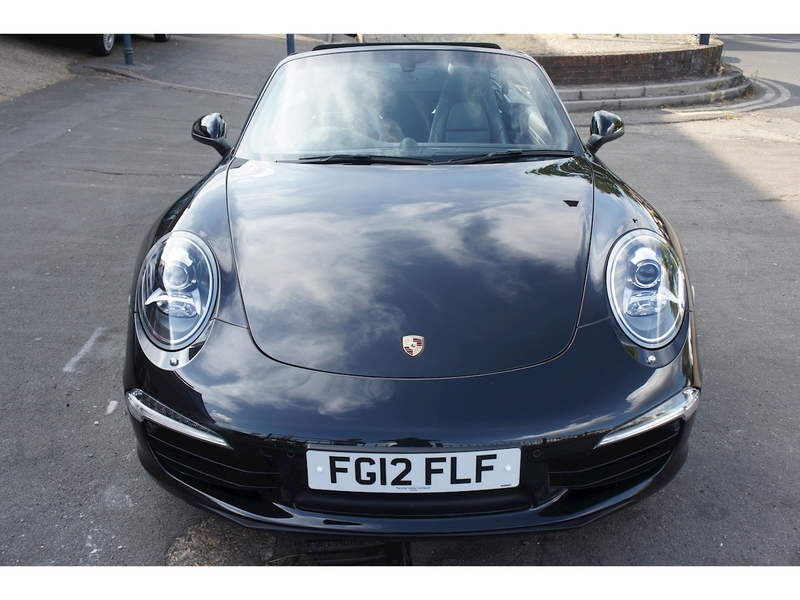 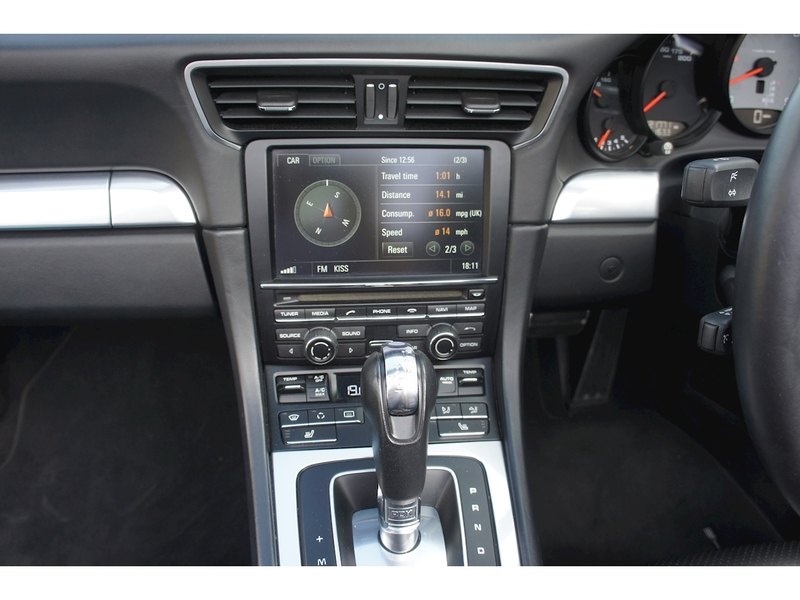 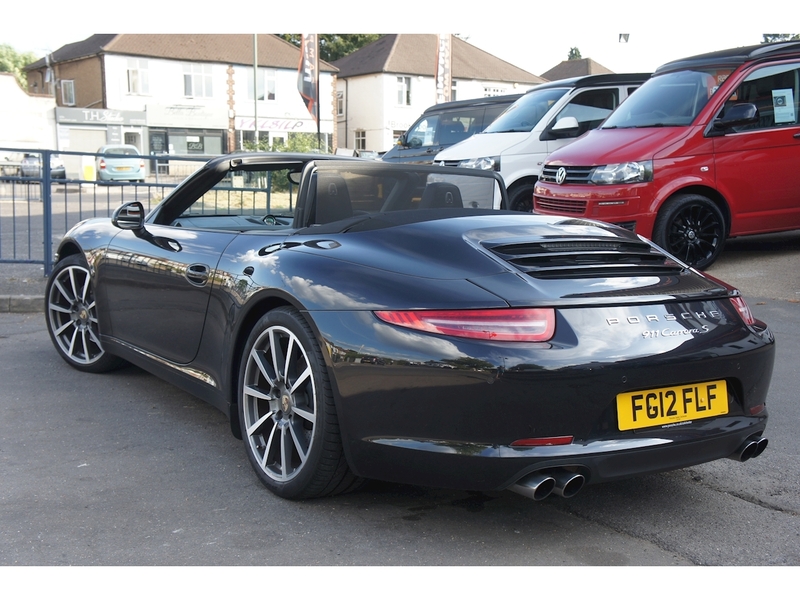 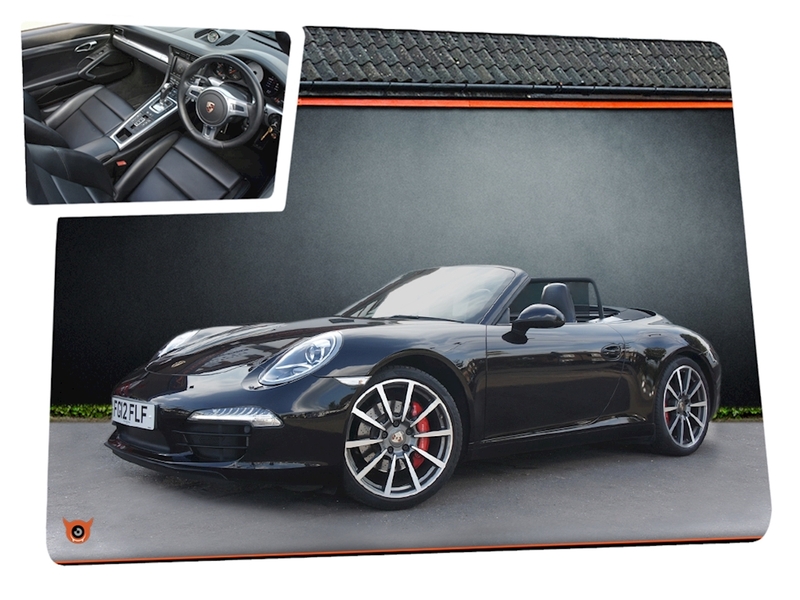 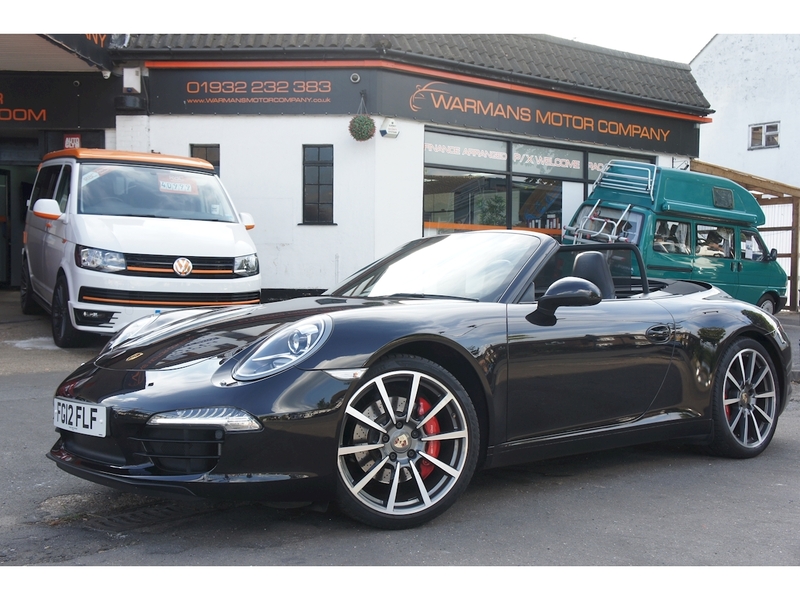 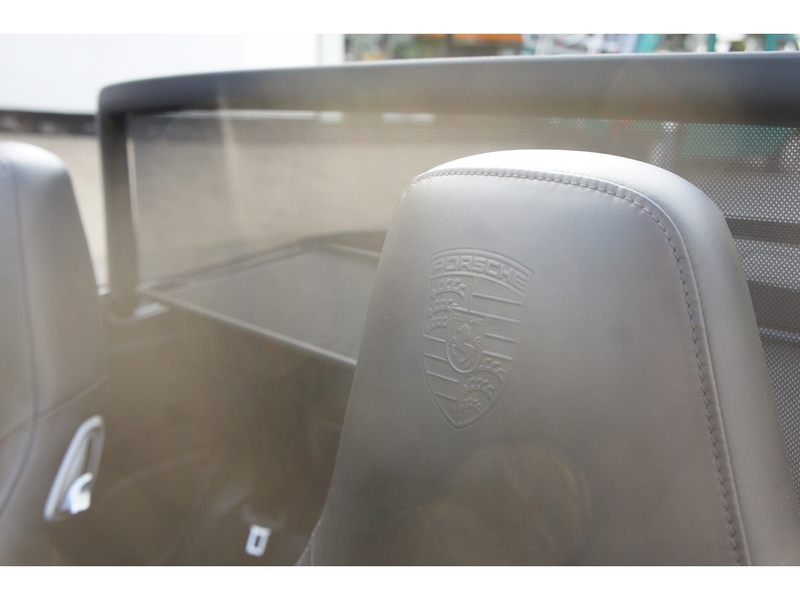 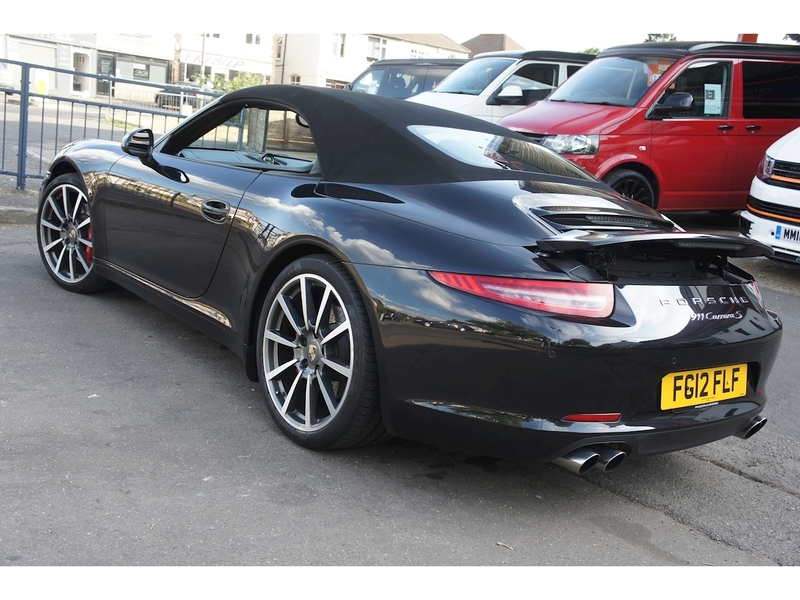 Porsche 911 Carrera Cabriolet 2S PDK 991.1 Finished In Basalt Black Metallic with Black Leather. 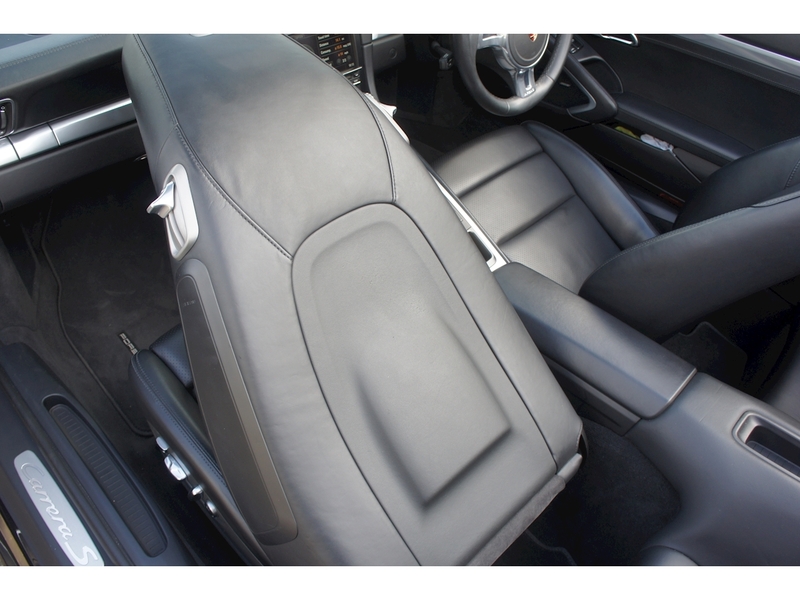 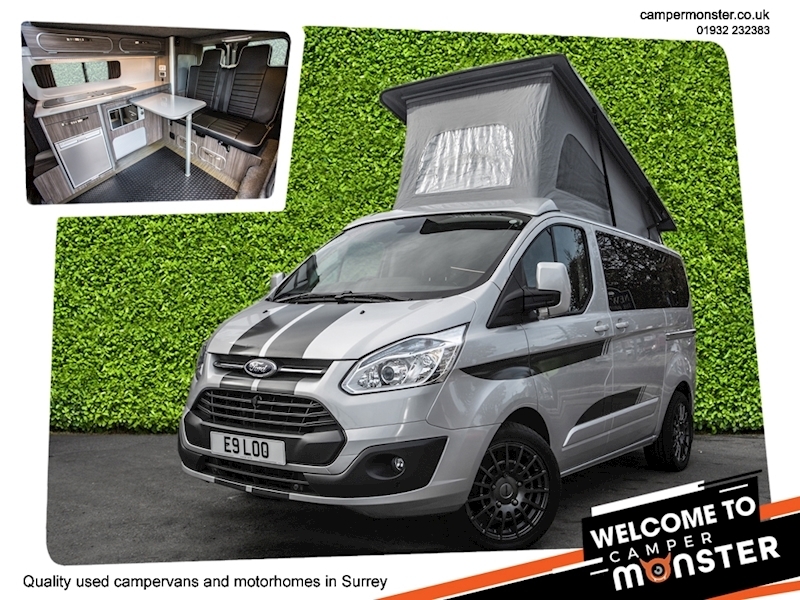 This fantastic example has been meticulously cared for and maintained with no expense spared. 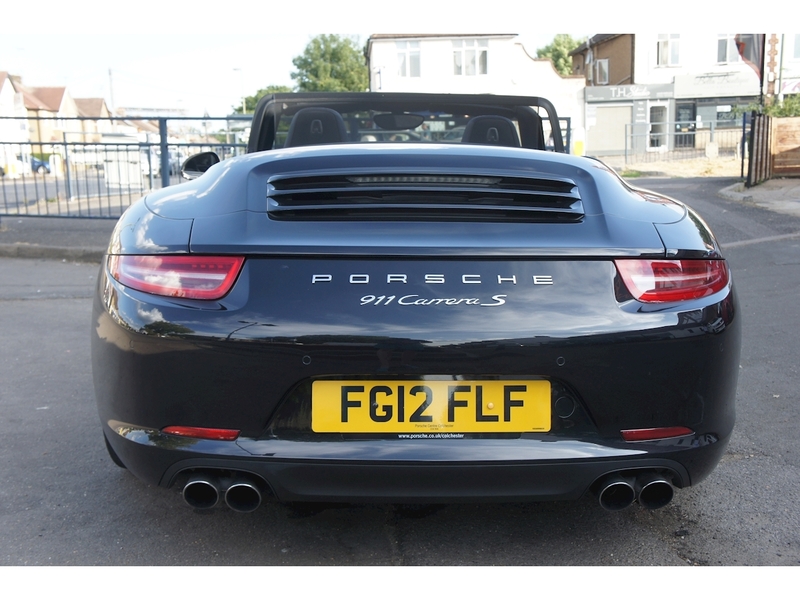 First registered in April 2012. 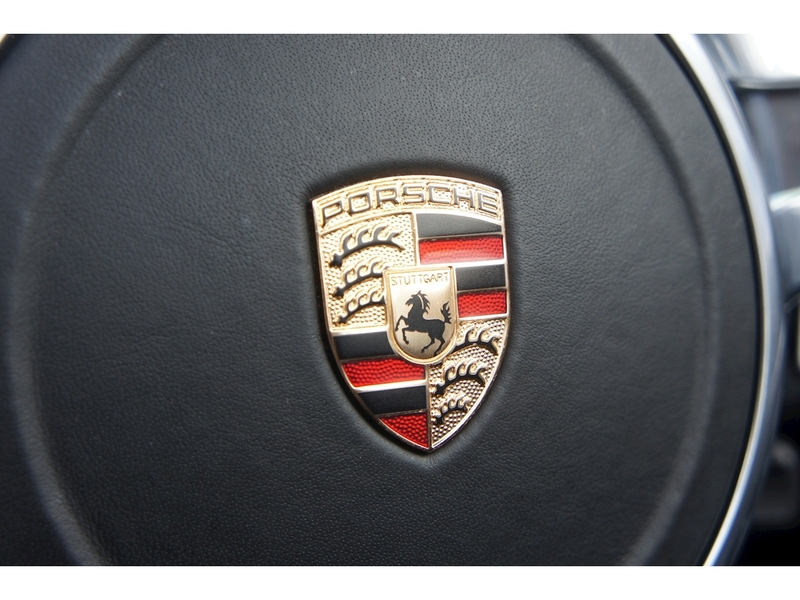 Full Porsche Centre Service history. 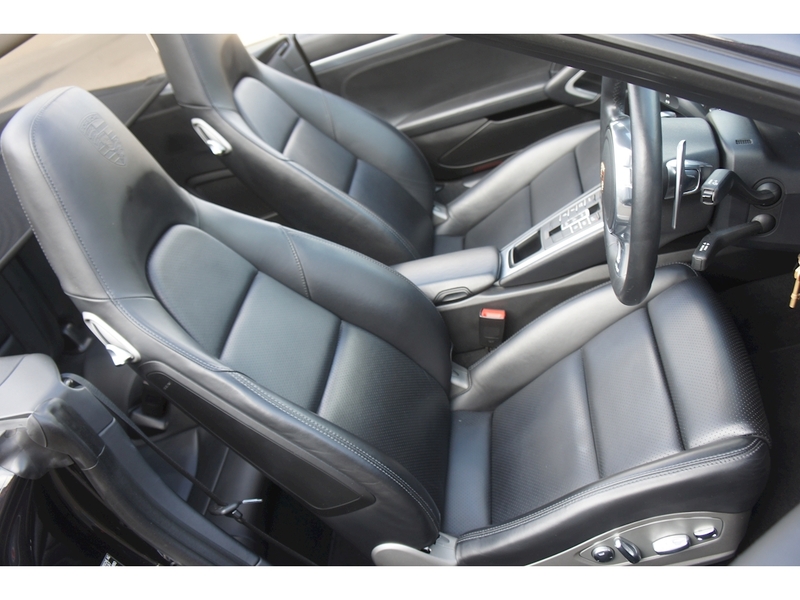 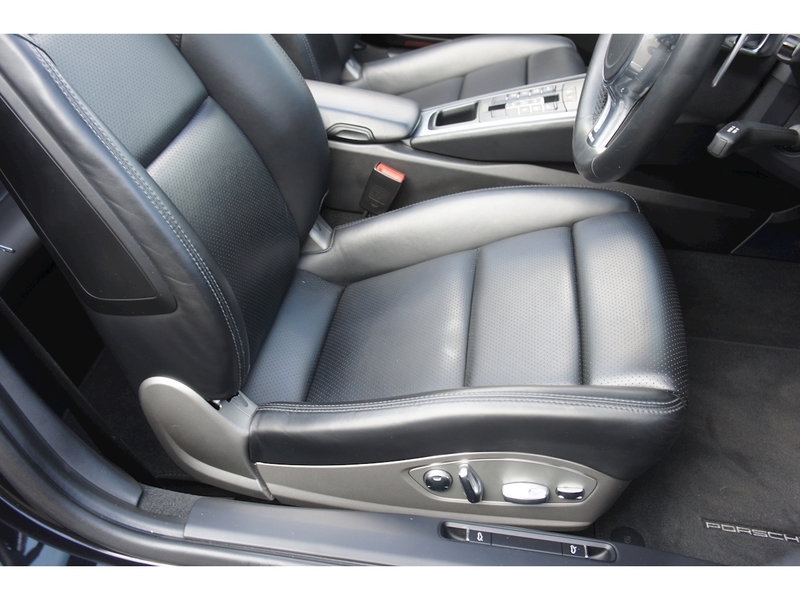 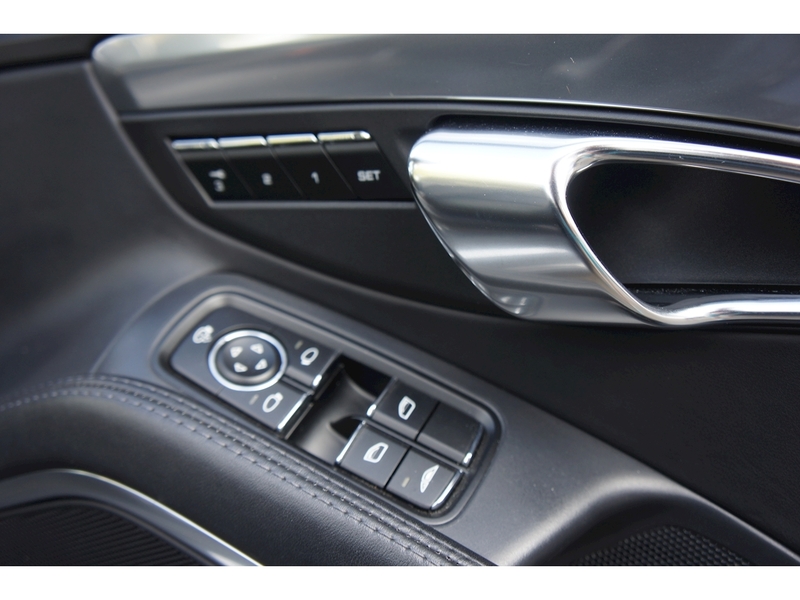 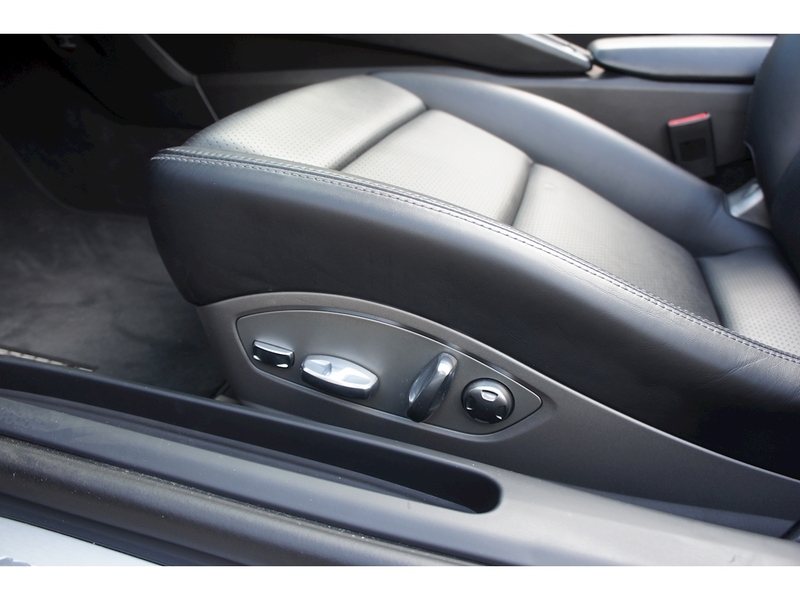 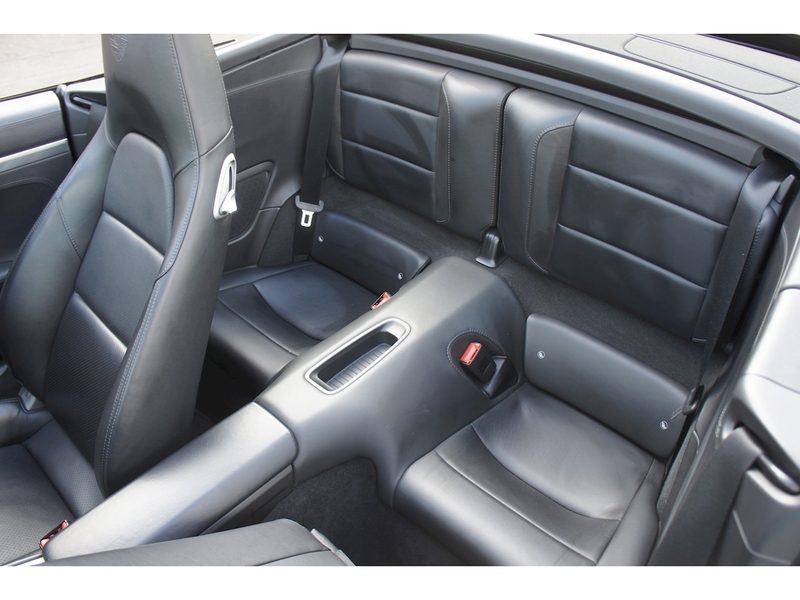 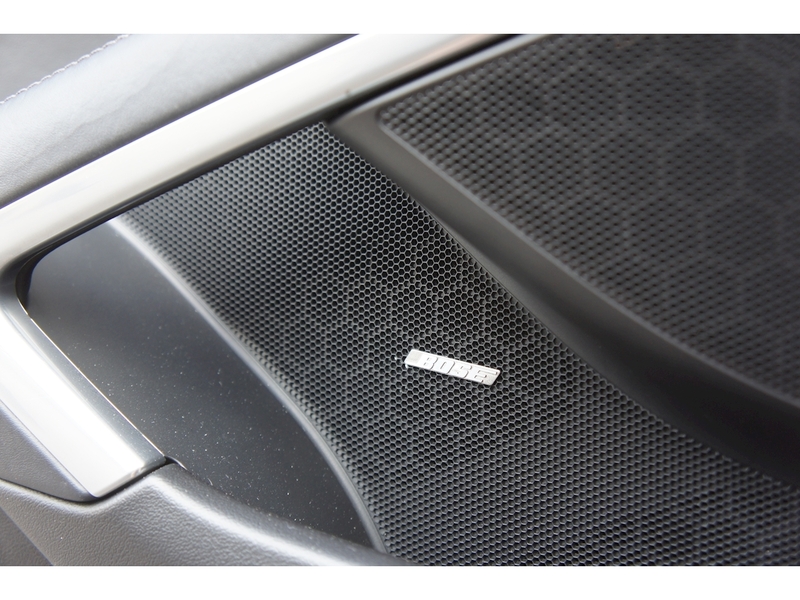 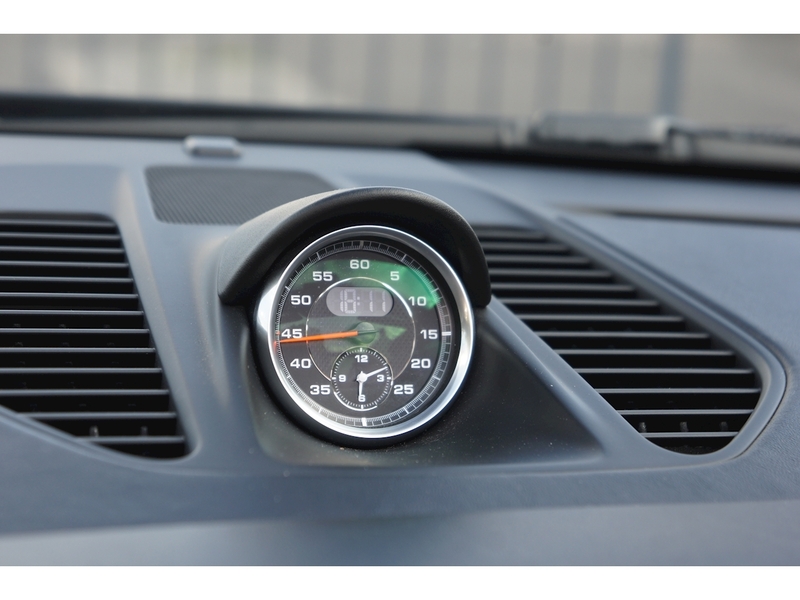 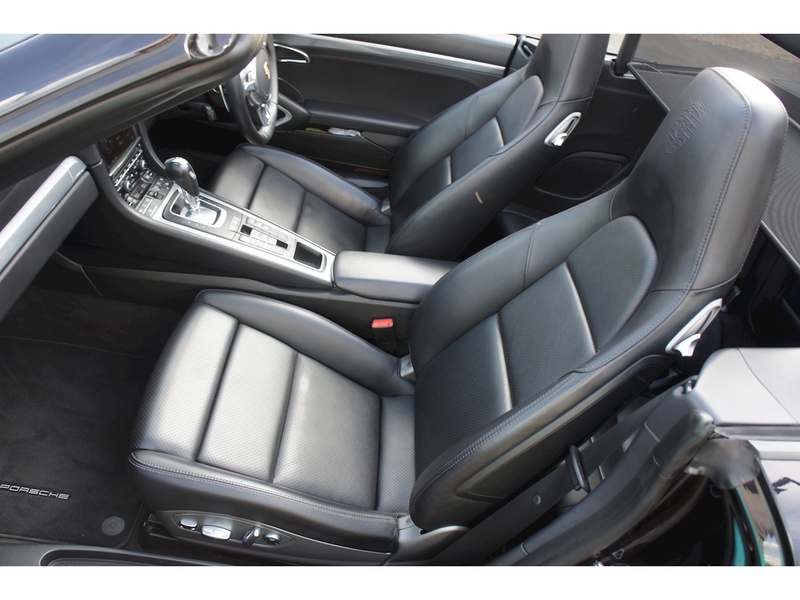 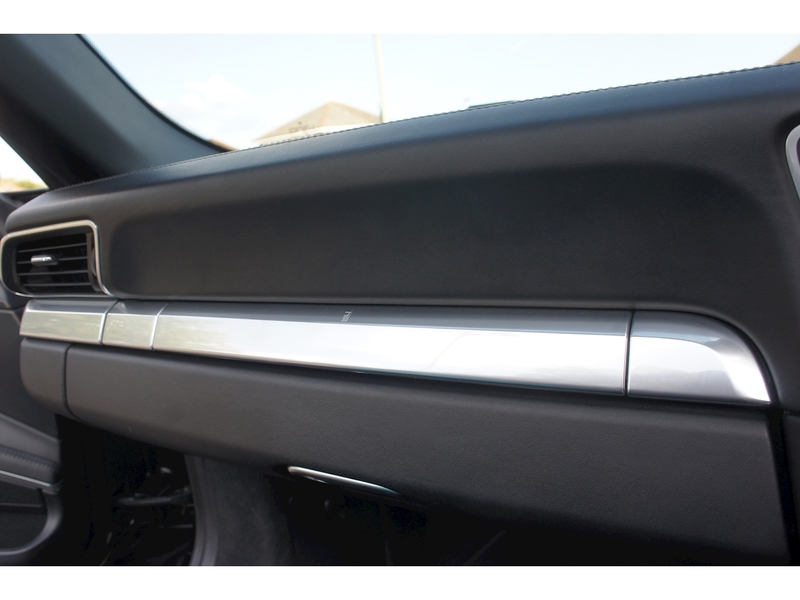 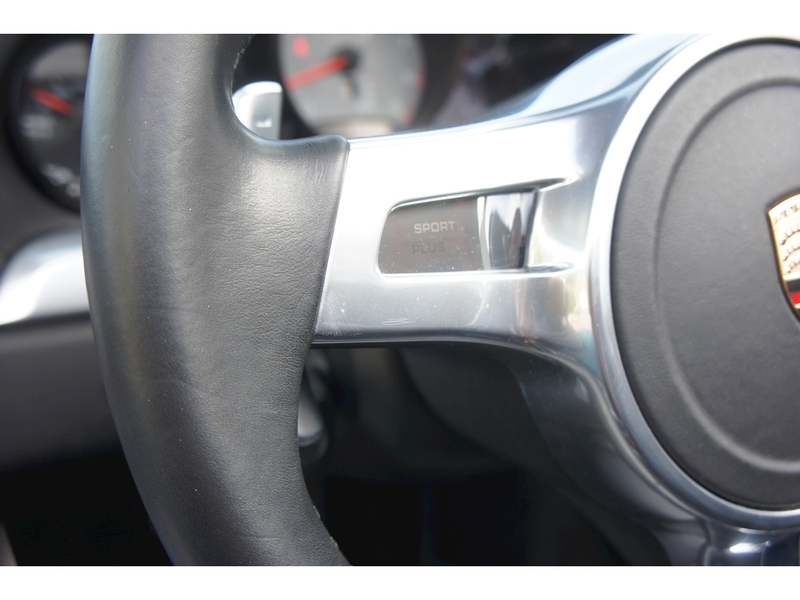 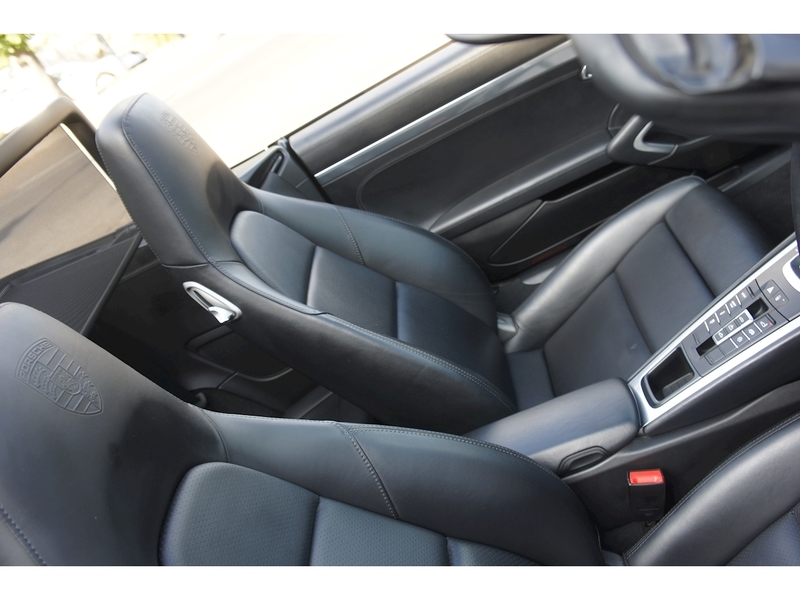 Basalt Black Metallic paint with Black leather interior. 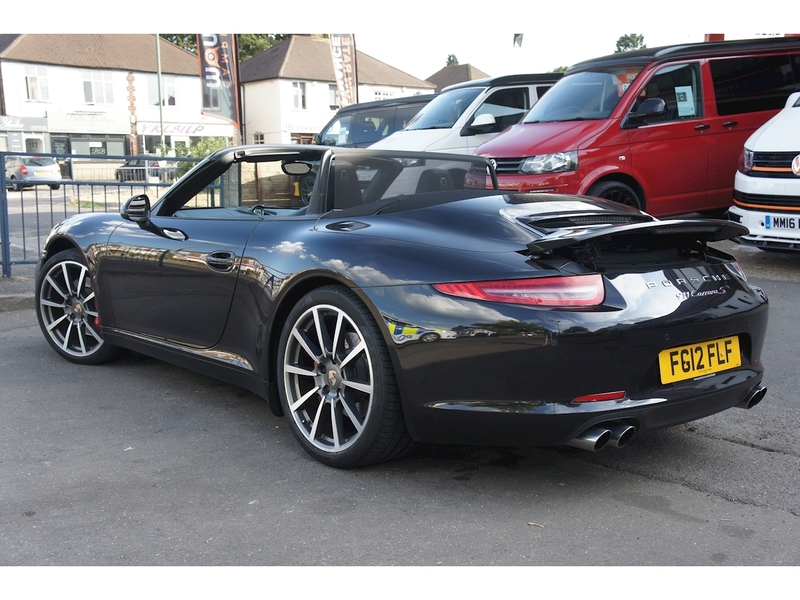 Porsche Sports Exhaust, Bose Sound System, PVT Plus, Electric 14 way Sport Seats (Heated), Sport Chrono Package Plus, PCM 3 Navigation and Telephone Modules, 20" Carrera Classic wheels, 7 Speed PDK, Air Con, Auto Dimming Interior and Exterior mirrors, Cruise Control, Dynamic Engine Mounts, Front and Rear Park Assist, Porsche Active Suspension Management, Porsche Embossed Headrests, Sport Steering wheel with PDK paddles, Xenon Plus Dynamic Cornering, Universal Audio Interface.